On Friday we caught the first flight out of Canberra and headed straight to Hardware Societe for breakfast. 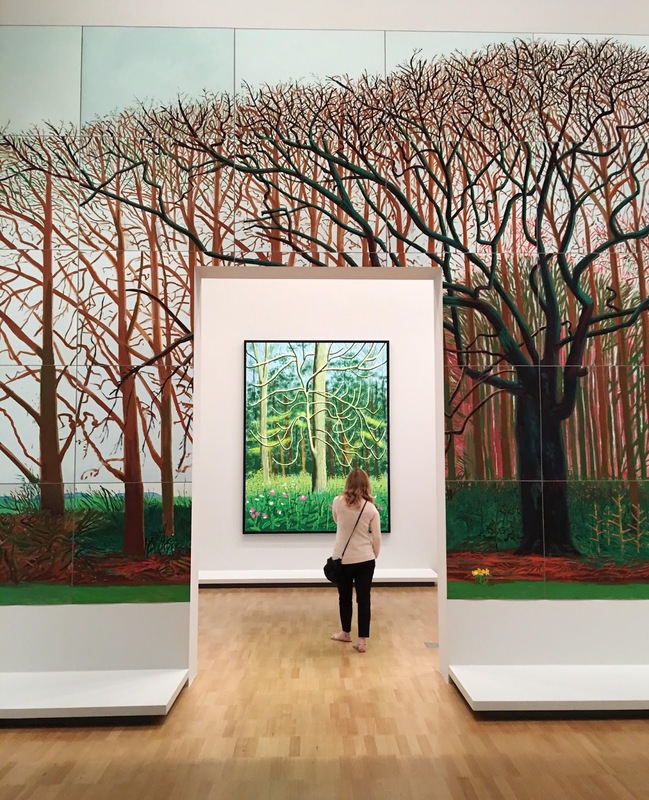 Next stop was the NGV to see the David Hockney show. It featured his early iPhone drawings - the ones with text were especially funny - and larger iPad studies of England and Yosemite National Park. There were oil paintings too. 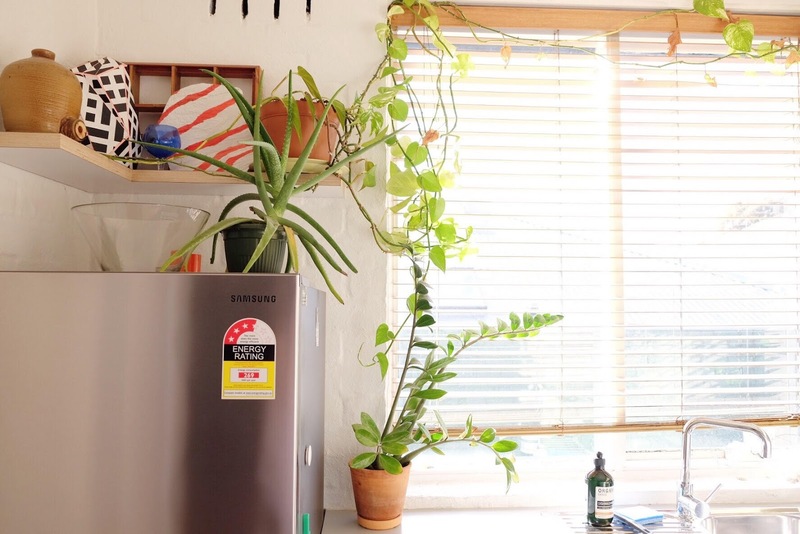 We stayed in Fitzroy for a change, in a bright Airbnb that happened to have lots of the same books we have at home and an insane indoor plant situation. There was an all-day diner down the road (one egg dish is served with tater tots!) and we bought the funniest $3 toy for my niece at Third Drawer Down. On Saturday we went to see my friend Danie who was hosting a DIY gift wrapping station in a laneway, complete with custom designed stamps. It was so much fun! We stamped calico bags and ran into my friend Meiying. She pointed us in the direction of Short Stop donuts, which we LOVED. Meiying also recommended Rustica Canteen and we enjoyed it so much we went twice - first for brisket and pulled pork sandwiches with excellent additions like smoked cheddar and pickles and a side of spicy potato salad. We went back the next day for salads. Somehow we managed to pop into seven galleries over three days. My favourites were Gertrude Glasshouse for Australian contemporary art, Australian Galleries for the breadth of its collection and the Philippe Parreno: Thenabouts screening at ACMI, which was beautiful and strange. People sat in a dark room to watch the film and there were foil fish balloons floating around. And here are a few new things that came home with me. A Monsieur Truffe chocolate bar, a hand-stamped bag, as well as a few new books from Metropolis Bookshop (my favourite) and Paperback. Next time I'd love to try Tipo 00 for a pasta dinner and take the train out to Geelong Gallery. But now, we're back home making tiny preparations for Christmas and I couldn't be happier.